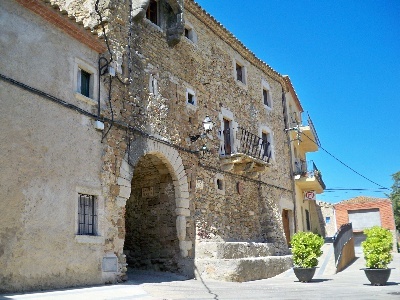 With an extension of 8 km2, Torrent is located (1) east of the centre of the Baix Empordà on the road which connects Palafrugell with Girona. Less than 200 inhabitants occupy some thirty houses located in the historical city centre (2), which, thanks to its reduced size, becomes an ideal place to form an active part of the locality. Discover the secrets hidden by history, discover the most deep-rooted traditions and feel part of this territory that although small is full of character. Essentially medieval, this period is breathed in from every corner: the parish church of Sant Vicenç (14th century), the bell tower, the castle, the remains of the town walls… and its streets and houses grouped together in the historic centre. Well known both inside and outside the region, this museum, inaugurated in 2004, shows the history and evolution of this genuine culinary creation, as well as placing tens of flavours of jams, ranging from the classical to the most original, within easy reach of the visitor. The indisputable protagonist of Torrent’s cuisine is sweet and colourful: jam. The museum dedicated to this product, which is very active in the area, disseminates the versatility and validity of jam in different gastronomic areas through workshops, activities and proposals for different culinary combinations.